Hours: Wednesday 8:30 a.m.-6:00 p.m., Thursday 8:30 a.m.-6:00 p.m., Friday 8:30 a.m.-3:30 p.m. The NRB Exposition is the largest marketplace dedicated to Christian media professionals. This award-winning Exposition is alive with resources to help expand and enhance your media efforts. Whether you are a broadcaster, media pastor, program producer, film producer, webmaster, social media manager, blogger, podcaster, author, publisher, or other communications professional, the breadth and depth of the Exhibit Hall provide the resources you are looking for. 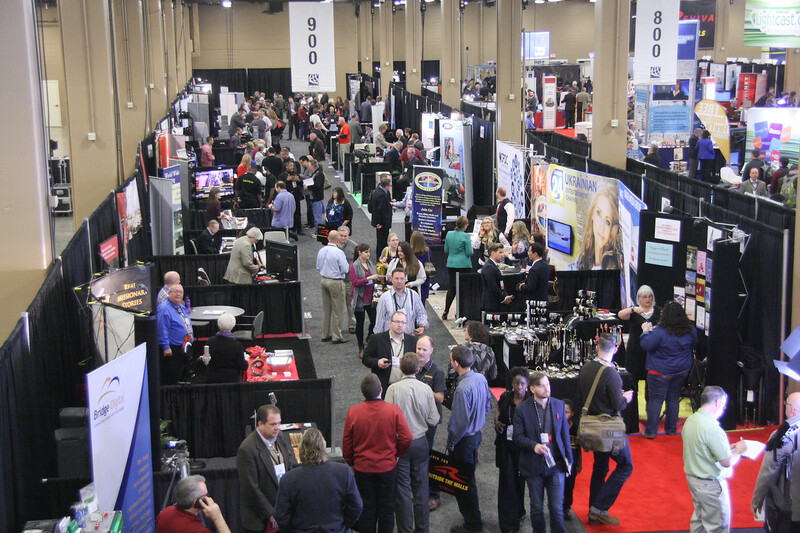 From innovative ideas and endeavors to must-have tools and equipment, the Expo has it all! Plan to take some extended time to explore the hall to make the most of the Exposition! Approximately 200 exhibitors will showcase their products and services. Autograph Booths will feature authors, artists, and other noted personalities who are available to autograph books, CDs, etc. To view the schedule of autograph sessions, click the button below. The schedule will also be in the Convention Program Book and in the Exposition Program & Guide. This opportunity is open only to exhibitors, including exhibiting publishers that wish to schedule autograph sessions for their authors. Please contact Chuck Smith at csmith@nrb.org if you have any questions or need additional information. Current exhibitors can reserve a time in one of the Autograph Booths by modifying their exhibit booth purchase. To do this, click here, select modify, sign in, submit your request on the Options page, and then click through each page until the modification is complete. Prize Drawings will be conducted at the booths of participating exhibitors. To view the Prize Drawing schedule, click on the button below. The schedule will also be listed in the Convention Program Book and in the Exposition Program & Guide. Note to exhibitors: You may conduct booth prize drawings all three days the Exhibit Hall is open to encourage attendees to stop by your booth. If you have any questions or need additional information, please contact Chuck Smith at csmith@nrb.org. To request a Booth Prize Drawing, click here, sign in, submit your request on the Options page, and then click through each page until the modification is complete. The Learning Arena is designed to foster true interaction between exhibiting companies and Convention participants to share and connect. It will showcase relevant education and training. Note to exhibitors: As an exhibitor, you will be able to reserve one 20-minute time slot to lead a session to educate convention participants about your service, ministry, product, etc. This is offered to you at no charge and is a benefit of exhibiting during Proclaim 19. The Learning Arena will be set up with a riser, standing lectern, lectern microphone, and approximately 50 chairs for seating. There will also be standing room around the area. Please plan to complete your session no later than ten minutes prior to the next session beginning to allow for a quick, seamless transition between speakers. Please contact Chuck Smith at csmith@nrb.org with questions. A concierge desk will be located at the entrance to the Exhibit Hall. The NRB Concierge will assist attendees in locating a specific organization’s booth and assist in locating specific business categories of exhibitors.